Allen and Sarah Hemberger are the creators behind the Kickstarter-funded Aviary Cocktail Book, an artful guide to making the celebrated Chicago bar's elaborate beverages at home. 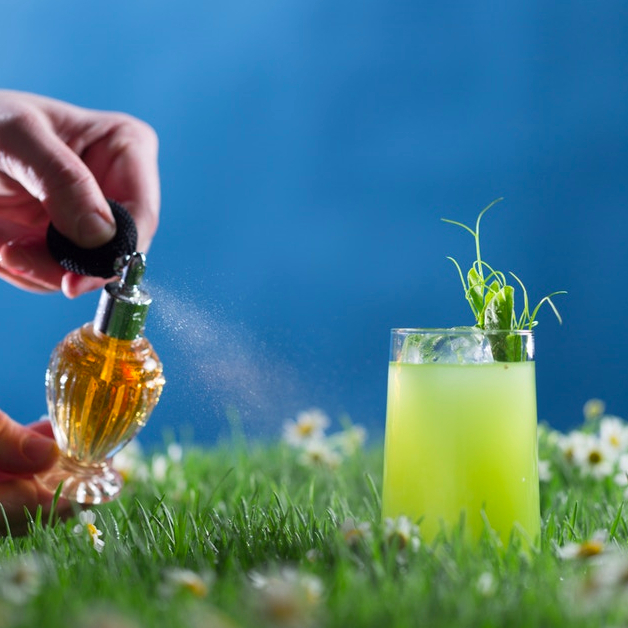 This week, Allen shares a recipe for The Aviary's Green Thumb cocktail and talks about the people, publications, and design blogs that inspire him. Head here for step-by-step instructions. 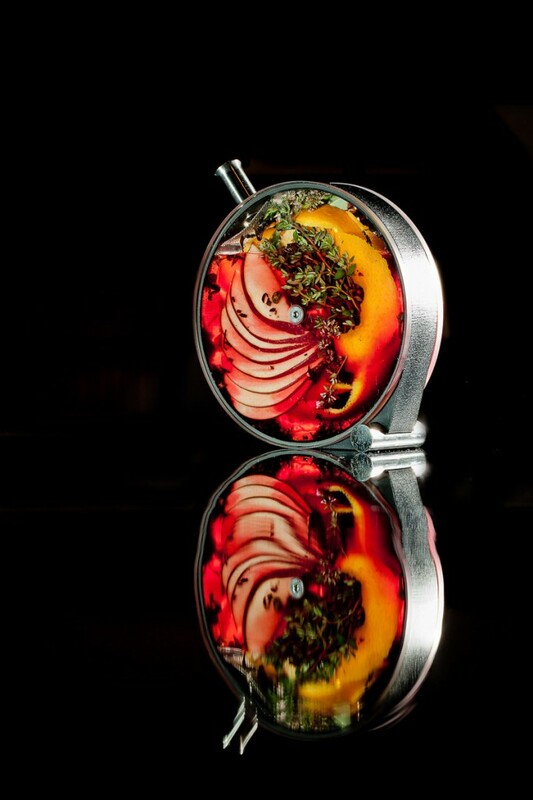 Good design and good cooking both involve knowing how to exercise restraint. This magazine is beautiful, elegant, and not too cluttered. It's clear that Chef Keller's team isn't just copy-pasting kitchen recipes — they're restructuring each one to make it more accessible. His books set a new bar for usefulness. This is my and Sarah's favorite cookbook. It's aspirational in every regard: the photography is beautiful, the heft and size is perfect, and the production values are incredible. Which of the following is the proper way to describe a measurement: ½ oz, 0.5 oz, 0.5 oz., or 0.5 ounce? This book helps us turn a critical eye toward even the most subtle typographic decisions. My second-favorite cookbook. The photography is wonderfully disorienting. I own almost everything GIR makes. It's all well-made, thoughtfully designed, and aesthetically pleasing. Kickstarter helped our friend Martin Kastner bring his beautiful cocktail infusion vessel from the bar at The Aviary to the homes of thousands. It also allowed him to upgrade his design studio and further his reach and capabilities as an artist. Immersion circulators used to cost thousands of dollars, which put them well out of the reach of most home chefs. These two creators put a sophisticated and expensive cooking device into the hands of the consumer. 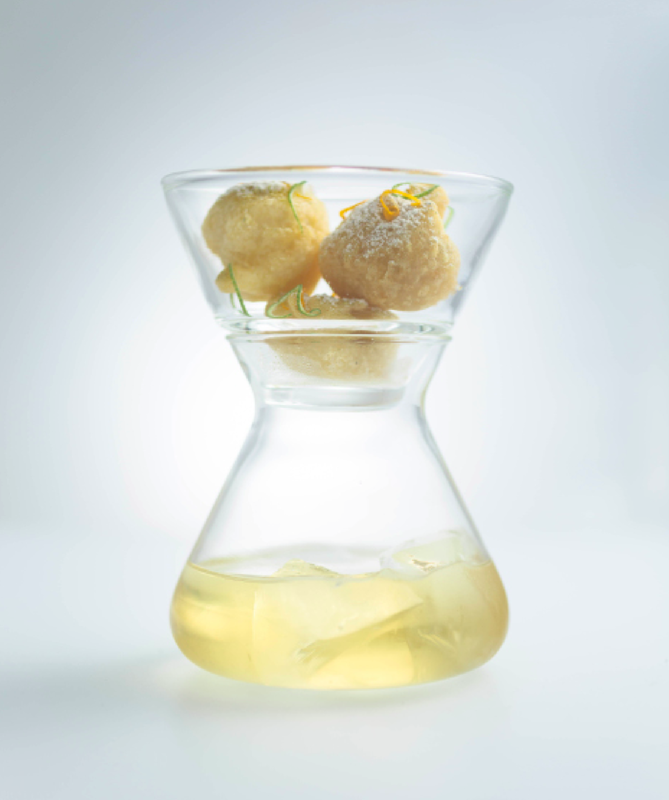 A cocktail from The Aviary served in Martin Kastner's cocktail infusion vessel, The Porthole. An illustration Sarah is working on for The Aviary Cocktail Book. Older PostAmber Discko: "It's Okay to Have Some Help."